NYANZA, NS – Big Spruce Brewing has announced that its “Cape Breton wild ale” brewed with 100% Nova Scotia ingredients will soon be available in cans for the first time. 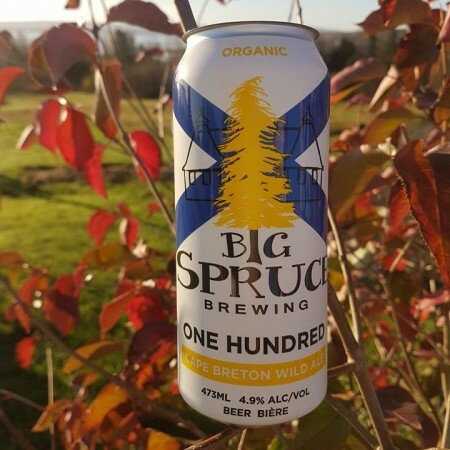 Big Spruce One Hundred (4.9% abv) is brewed using a proprietary wild yeast harvested from the surface of a pin cherry grown on the Big Spruce farm, organic hops also grown on the farm, and organic barley and rye grown in the Annapolis Valley at Horton Ridge. 473 ml cans of One Hundred are expected to be released in mid-November. For more details, see the Big Spruce Facebook page.